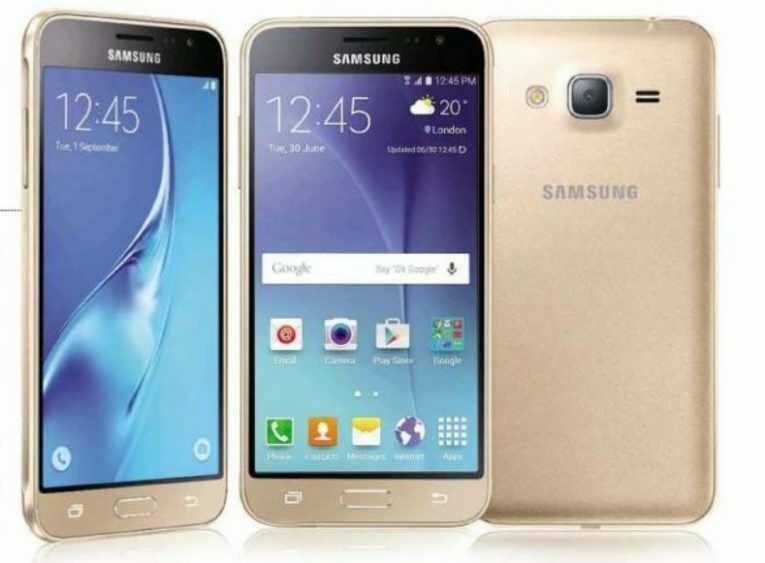 We’ve already tested Samsung’s Galaxy J5 – a budget smartphone. Now here’s the Galaxy J3 – a budget smartphone. No, it’s not a replacement, just yet another option – as if we weren’t already overwhelmed by choice these days. This might be a sign that the smartphone market is reaching saturation point. We’re used to seeing each brand offer one device in each price bracket. But in other consumer-goods sectors, it’s common for companies to compete with themselves. In supermarkets we see shelf upon shelf of various washing powders, each with its own special claims to get stuff off your clothes. Turn the packets over and you’ll see the same corporate logo over and over. Its impressive screen can’t make up for slow performance and poor cameras. At least they make the effort to invent a name for each alternative. The J5 just says ‘Samsung’ on the front, and so does the J3. In fact, both phones look almost identical, with the same squared off camera, flash and microphone arranged in a line on the back. At least the front of the J3 has a two-tone effect, where the white or gold bezel around the edge continues across the bottom edge, while the black area just outside the screen continues across the top (see main image). The third colour option, black, is just black – with no two-tone effect. It’s distinctive, but as with the J5, the overall impression is more like a Shanghai street market knock off of a Samsung phone than a real one. Still, it feels solid and comfortable to hold and – like the J5 – the J3 sets itself apart from other low-cost options with its impressive AMOLED screen. Black pixels are truly black, the whole sRGB colour range is covered, and high contrast makes photos really come to life. Brightness levels are limited, but an ‘Outdoor’ mode lets you boost them when you need to see the screen in sunlight. You’re only allowed 15 minutes, though, presumably because the screen might suffer from bum-in after that. Inside, where the J5 had a good mid-range Snapdragon 410 processor from Qualcomm, the J3 has one from a less familiar Chinese company called Spreadtrum. It was slower all round in our tests, and struggled when using multiple apps, although tapping and swiping felt quite responsive. Games with fancy 3D graphics weren’t playable at all. Nor could the J3 match the J5’s 18-hour battery life in our tests, although 13 hours 15 minutes of video playback isn’t bad. We weren’t overly impressed by the J5’s 13-megapixel rear camera, and the J3’s 8-megapixel version is even worse. Bright areas were over-exposed unless we used the HDR (high dynamic range) mode, which as usual looked slightly artificial. Indoors, only a very steady hand produced photos without blur. For a budget phone, it’s OK, but no more than that. Disappointingly, like the J5, the J3 comes with Android 5.1.1 (Lollipop), not the latest version 6 (Marshmallow). Given that, it’s significant that it only has 8GB of storage (of which less than 5GB is free for your photos, videos, music and apps). You can add a microSD card for more storage, but because Android 5.1.1 restricts how you can use that space, you may still run out. At the time of writing, the J5, is out of stock in many places. That gives you a small reason to consider the J3, but we still wouldn’t. As for the J5, it now faces a strong challenge from Motorola’s Moto G4. 5.00″ touch screen Uhans A101 supports 10-point Multi-Touch interface I’ve got a question that has not yet found the answer. And how many simultaneous touching supports Samsung Galaxy J3 screen?